I ncreasing competition, intense pricing wars and resulting commoditization has shifted the battles in the travel and logistics industry. The fiercest competition today is in leveraging technology to win the customers’ hearts and minds on one side, and to squeeze out some margin points on the other. But the modern-day customer is not easy to please – she is armed with information, her expectations are high, her purse strings tight, and her loyalty fleeting. Be it passenger transport or freight haul, the travel and logistics industry is at the cusp of innovation with IT becoming a core function. We have considerable experience across the spectrum of this domain – from business simulation and maximization, to operations and logistics optimization tools, and to customer and partner facing applications. We leverage this experience to develop innovative solutions for global airlines, shipping firms, railways, trucking companies, hotels and 3PL that help them understand their customers and serve them well. Our responsive web portals, mobile apps, and payment processing systems help drive better efficiency in day-to-day functioning of organizations. We also help build strategic roadmaps for setting up loyalty programs and customer 360-degree solutions to enable stronger relationships with each individual customer. Our analytics solutions allow travel and hospitality companies to unlock value from the large volumes of transactional data that they possess. We also find efficient ways of handling large amount of unstructured data available from other sources such as website interactions, social media, magazine reviews and so on. We leverage big data and analytics for customer segmentation, marketing optimization, and statistical process control. With our deep domain expertise in handling complex operational processes, we provide support in multiple areas such as optimizing flight schedules and flight trajectories, and streamlining performance reviews. By conceptualizing and implementing innovative solutions, our experts also aid organizations in seamless management of crew, cargo and terminal operations. We provide support to customers in building solutions around areas of inspections and maintenance, locomotive management, and 'Track and Trace'. We have also helped clients with innovative fleet management tools that cover a host of functions including optimization of intermodal operations and trip schedules. We employ cutting-edge technology to help customers manage, control and optimize pricing, forecasting, and inventory. Our revenue management systems aim at simplifying the day to day operations of revenue managers and includes steering ODI (origin and destination itinerary) prices by analyzing and comparing competitor’s prices along with monitoring the flights’ origin and destination data for critical scenarios. 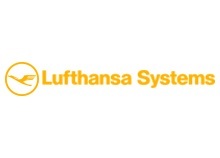 As a partner to Lufthansa Systems we collaborate on information technology projects for the aviation industry.